I woke up in the back of my Jeep watching the sun rise on the mountain I was about to summit. This weekend I was on a pilgrimage to experience the sister mountains of Lookout Mountain and Telescope Peak. 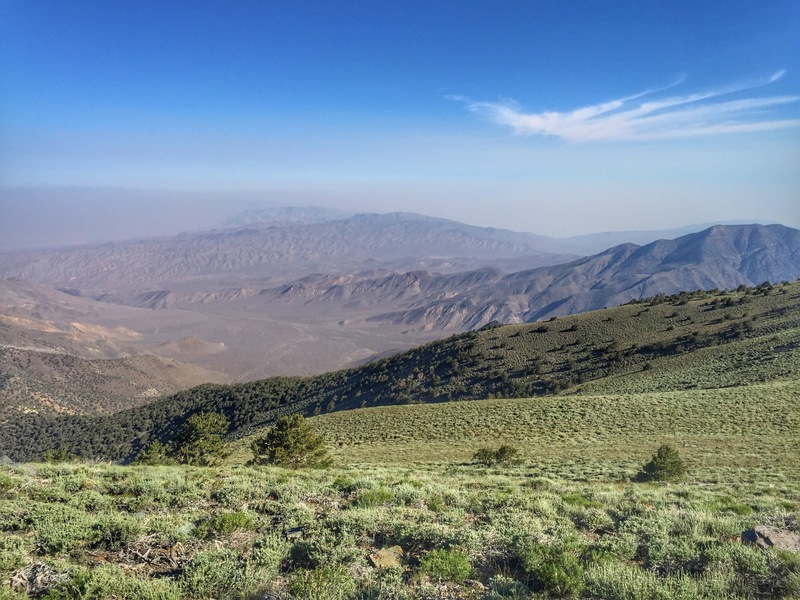 During the silver mining boom of the 1870s silver was mined at Lookout City in the Argus Range on the southwest side of Panamint Valley, but there was not enough wood there to make charcoal to smelt the ore. 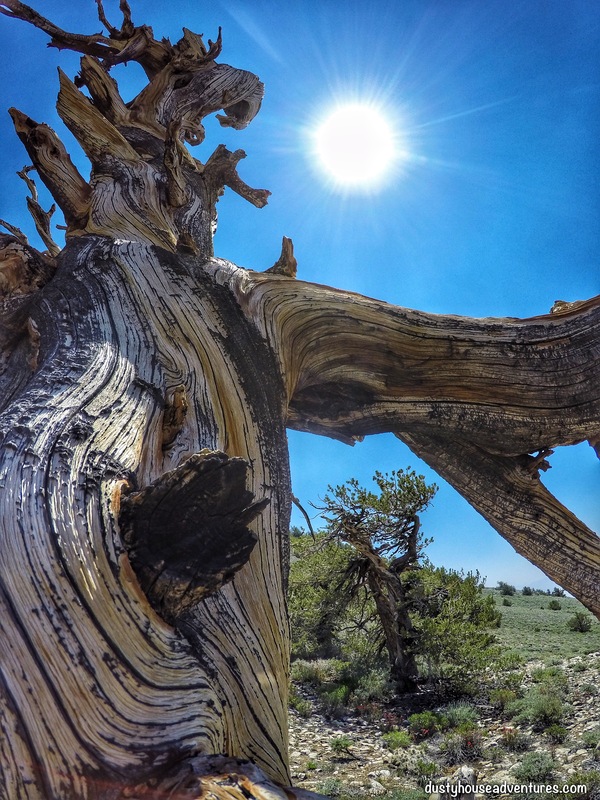 So kilns were built across the valley in the Panamint Mountains where Pinyon Pine was abundant. There charcoal was made and transported by mule wagon back across the valley to Lookout City. 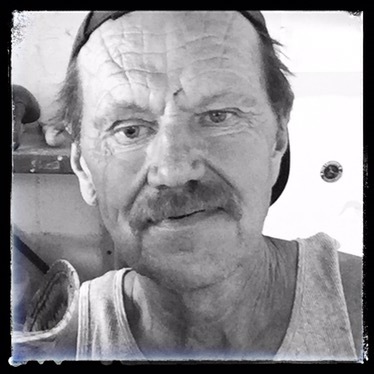 The day before I’d hiked to the ghost town ruins of the former boom town, Lookout City, (see the Lookout City post here) this day I would explore the charcoal kilns and hike up the mountain above them to the highest peak in the California desert, Telescope Peak. At Lookout Mountain I’d spent a good part of the day between 1,000 and 5,000 ft elevation in 110-degree-plus weather , but slept at Mahogany Flat Campground in the Panamint Mountains at 8,000 ft elevation in 50 degree weather. I woke up with a pounding headache. I medicated with coffee and ibuprofen and let my brain get its equilibrium while crows tried to peck holes in my food bag. Then I signed in at the trail register and began the 14 mile round trip walk through the sky. 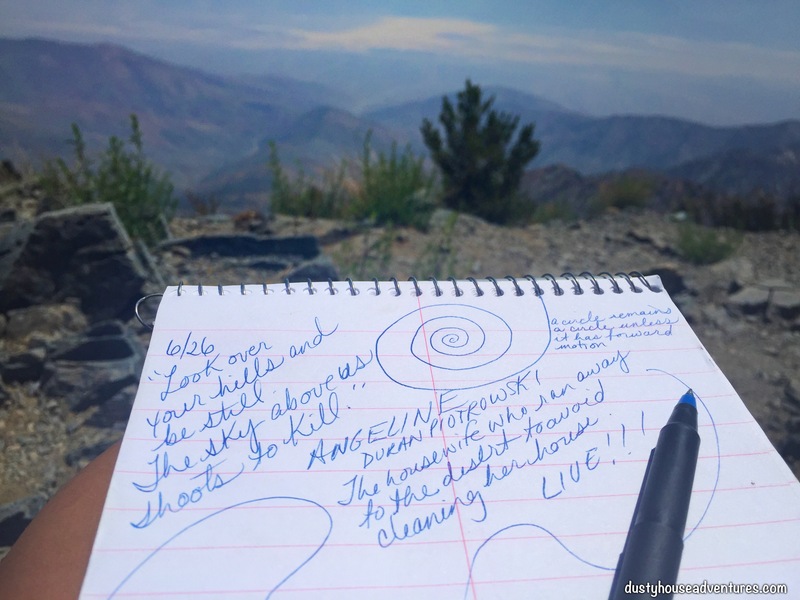 It is an odd thing to imagine galavanting through grassy fields, surrounded by forest and wildflowers in the dead of summer in Death Valley National Park, but that’s what I was doing. I felt like Heidi in the Swiss Alps. 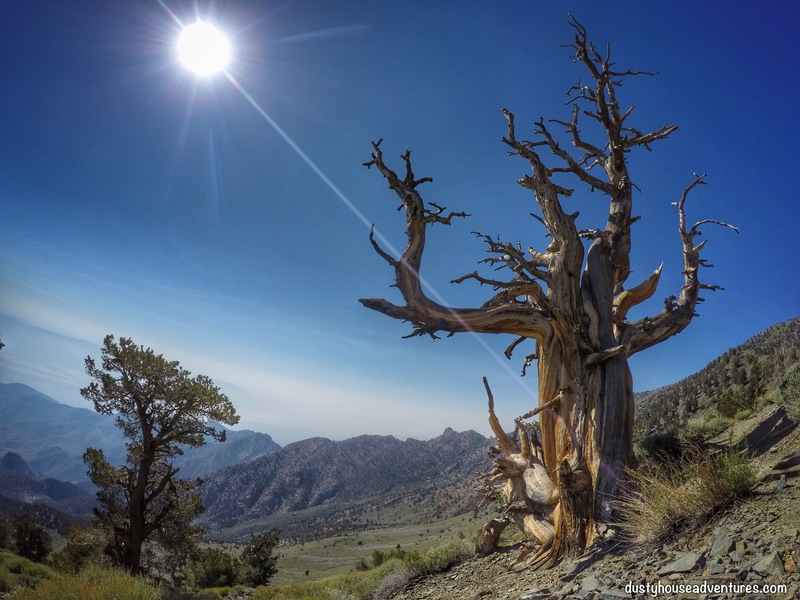 Historically, the Panamint Shoshone thrived throughout the summer at these high elevations. They would migrate between the Death Valley floor and its surrounding mountains between the seasons. In winter Telescope peak is covered in snow. I was on the mountain at a lower elevation in April and it snowed on us then. By June the snows have melted leaving rabbits and pine trees and abundant flora. A wonderful place to explore in perfect 75 degree comfort. What amazed me was that I met several hikers from outside California on the trail. I met a couple from Pennsylvania and their son who lives in Colorado. All had just hiked the Grand Canyon in Arizona rim to rim then come over to Death Valley to hike Telescope Peak. Coincidentally, I then met a man wearing a Grand Canyon Rim To Rim t-shirt. I’m not sure where he was from, I was too distracted by the coincidence of meeting yet another badass Arizona hiker on the same Death Valley trail. We talked about the charcoal kilns and the obsessive nature of miners. Then we compared the obsessive nature of miners to the obsessive nature of hikers. Yes, I think miners and hikers may be made of the same treasure-seeking stuff, yet one takes the mountain and turns it into money, the other takes the mountain and turns it into inspiration. Then I met a couple of guys from Ohio who’d come to hike Death Valley in summer. What in the world? How do people from so far away even know about Telescope Peak? And to do something crazy like journey to the hottest place in North America during the hottest season of the year to hike the only place on the landscape that isn’t hot? How? Why? Hikers are a weird and wonderful breed. Everything about this hike is epic. The trail switchbacks up to Bennet Peak at 9980 ft. 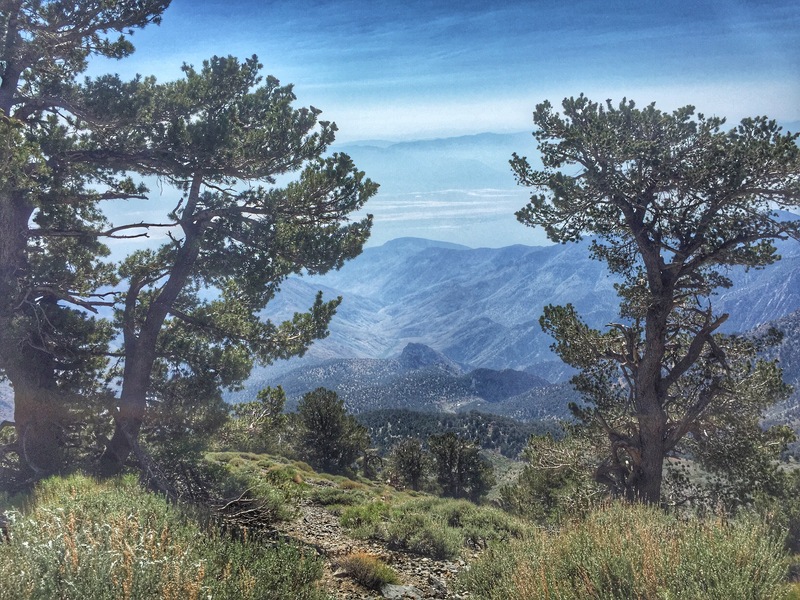 The whole trail is exposed to views of mountaintops towering over Panamint Valley. Unfortunately the view was a little hazy today. I found out later from Rocky, the caretaker of the ghost town Ballarat, that a couple of days ago there had been forest fires in Lake Isabella, on the other side of the Sierra Nevada Mountains, and the smoke had billowed over the mountains and filled both Panamint Valley and Death Valley. The earth is small. These huge canyons are just narrow spillways parallel to each other. What happens in one affects the others, a reminder to care for our neighbors. 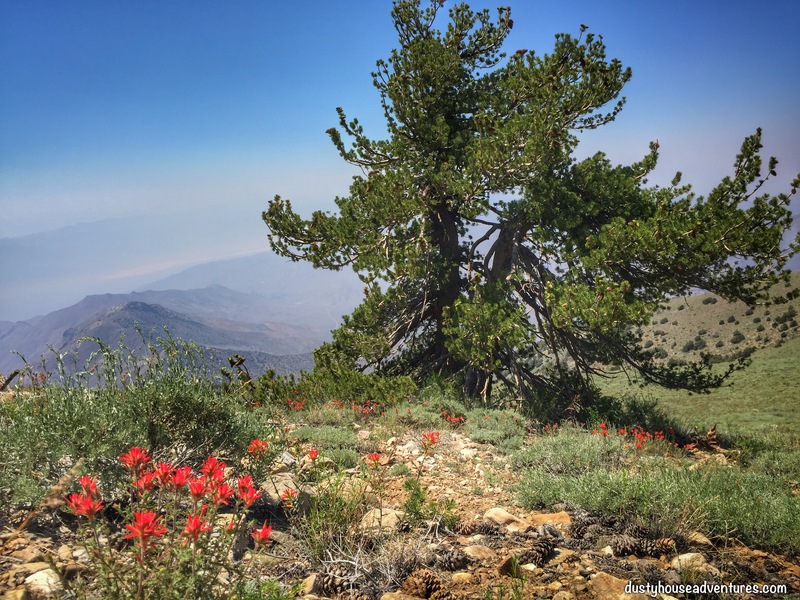 Once reaching Bennet Peak I walked over the smooth green meadow saddle that spills the eye down both sides of the mountain, Panamint Valley to the west and Death Valley to the east. Its enough beauty to make your stomach drop. There were tiny purple butterflies close to the ground and larger white butterflies at waist level. Who knew that butterflies organized their airspace? Once I started ascending Telescope Peak and the trail stayed above 9,000 things got really crazy. 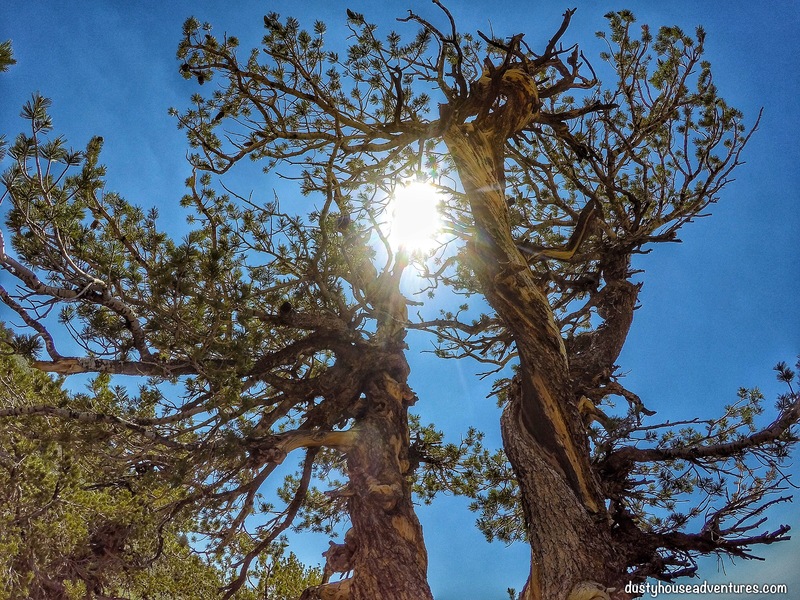 Above 9,000 ft you start to get the most beautiful pine trees on the planet, Limber Pine and the ancient Bristlecone Pine. 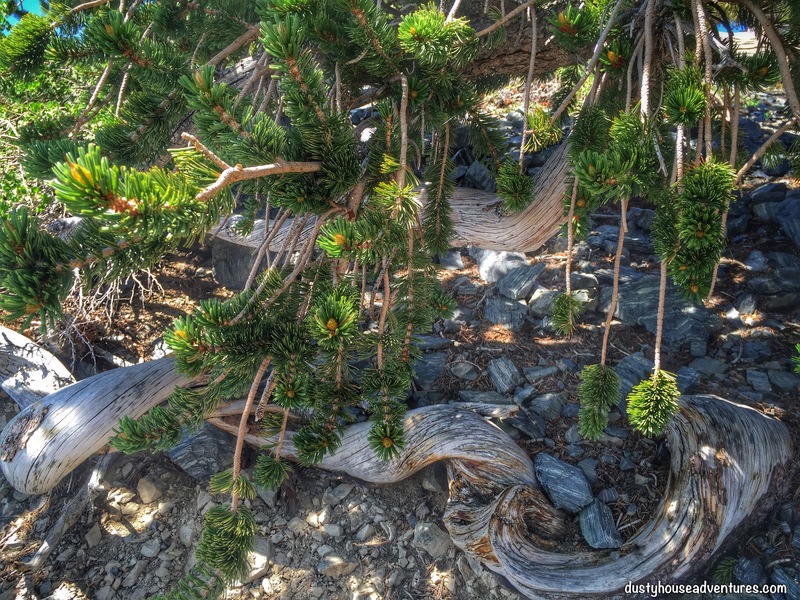 Every Limber Pine is an organic sculpture unto itself. The bark twists and bulges like soft taffy. At 10,000 ft I hit a wall. 10,000 ft is when my oxygenation machine starts to put on the brakes and, unfortunately, that last mile to the peak is the steepest, most strenuous stretch of the hike. So I did as I usually do in this kind of situation, I piped music into my head, tucked my head down and left my body while it put one foot in front of the other up to the peak. The peak! 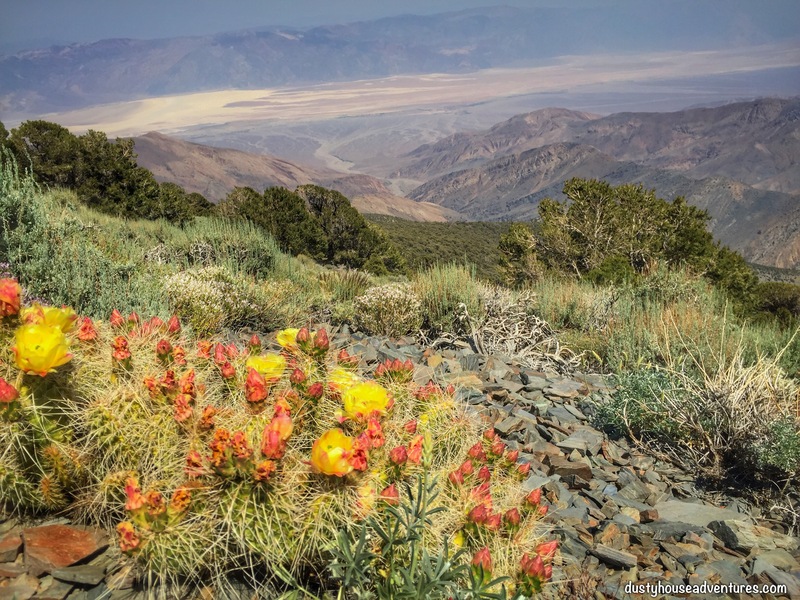 At 11,049 ft, Telescope Peak is the highest point in the California desert and offers a 360 degree panorama of desert basin below and mountain crags on the horizon. Awesome. I’ve never really understood the “peak bagger” mentality. Climbing up to the top of something just for the sake of getting to the top never makes sense to me. For me, there has to be the promise of treasure to get me off my rear. Otherwise I’d be just as happy daydreaming under the cork tree like Ferdinand The Bull. But this treasure! It is enough to turn me into a peak bagger. I get it. I noticed that on this mountain, everywhere people hang out there were way too many flies. There is one camping spot a little further down where I’d stopped to rest and have lunch. Flies. And up here at the peak, flies. People and their food and their pee… I think it would not be hard to be a people tracker. Just follow the flies and you’ll know where people have been. 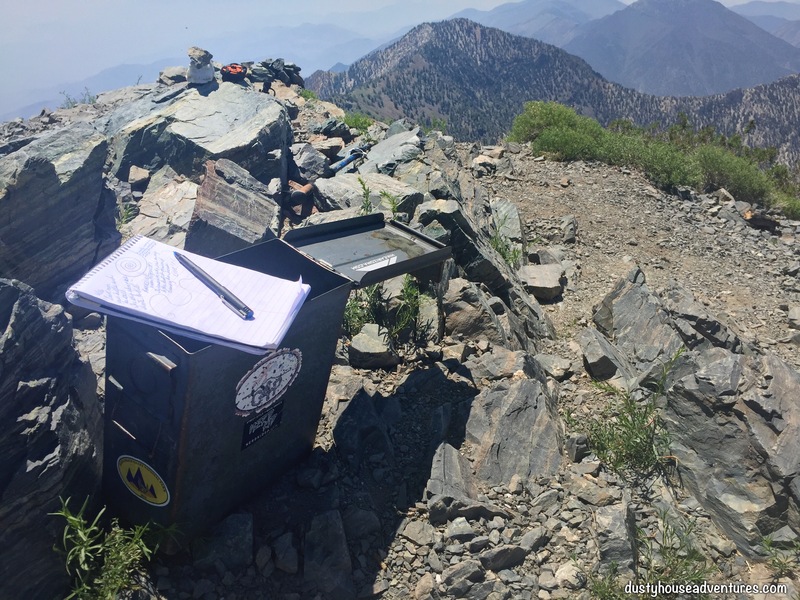 There is a trail register in a box at the peak in a cache full of interesting goodies. Inside the lid of the cache was affixed a “Hike Arizona” sticker. Arizona. Arizona. My world suddenly seems to be filled with signs from Arizona. My dad was born in the copper mining boom town of Jerome, Arizona, which is now considered to be a ghost town with a full time population of less than 500 people. Native American cliff dwellings are abundant there and they make my heart sing. To live in one would be beautiful and ideal. A little cliffside apartment, safe and dry while the summer monsoons rage across the desert. That’s where I belong. Arizona calls to me and I will be venturing out there again soon I hope. All signs seem to be encouraging me to return to the land of my people. The universe is even giving me signs (stickers) on mountaintops that Arizona awaits my return. Hiking the 7 miles back down the hill was pure joy. All view and downhill ambling. An out and back hike is fun because once you turn around you get the reverse view and it is an entirely different hike. I took a selfie on the a ledge to give those who worry about me a little something extra to get their hearts pumping. I sailed off the end of the trail exhausted and popped down the hill to the top of Wildrose Canyon to make some coffee and contemplate those exotic charcoal kilns. The kilns were built by George Hearst (William Randolph Hearst’s father) to make charcoal to smelt silver ore at the Modoc Mine near Lookout City and at the mines in Panamint City in Surprise Canyon. There are 10 kilns that stand 25 ft. tall. In 1877 they took two years to build and were only used for less than a year. The charcoal was transported by mule wagon, over Panamint Valley via the Nadeau Trail. The kilns were only fired for less than a year and fell into disuse in 1879. They were soundly built in a beehive shape. Pyramids and arches are th stronger architectural forms. And fired as they were into hard shells the kilns have (and will) stood the test of time. They are a totally unique piece of California mining heritage that anyone with a car can see if they will take the beautiful drive to enjoy them. Successful in my weekend’s pursuits I was feeling joyful. I rolled down the windows and let the searing hot desert air flow around me as I drove. On my way out of Panamint Valley I stopped in at Ballarat ghost town to say hi to my pal Rocky, the caretaker. A dozen wild burro were hanging out by the General Store. They were so cute. Rocky and I lounged about in tattered desk chairs in the unpainted wooden shell of the historic general store and chatted for about an hour and a half while the day cooled outside. He filled me in about the fires in Lake Isabella and how the smell of smoke had kept him up for 3 hours a few nights before, knocking about in the dark with a flashlight, looking for a sign that Ballarat was on fire. He also tipped me off that his favorite thing in the world is homemade vanilla ice cream on apple pie on a hot summer day. Guess who’s going to get a treat next time I go to Panamint Valley? He told me if I did that I’d get a hug and a kiss. Ooooooeeeeeee! All this desert beauty, adventure, and affection from a timeless paragon of desert living? What more could aCalifornia girl ask for? Swoon. Dusty!! You make me so jealous, seeing your descriptions and making me wish I could stand in those same places. Thank you very much. That is a high compliment. Its most appreciated. Enjoyed your trip report. My sons and I climbed Telescope Peak this summer on July 2nd. The day before we experienced 126 degrees at Badwater, and then enjoyed the “cool” 80’s on Telescope. We’re from Ohio and when you said you met “two guys from Ohio” it certainly hit home. I visited Death Valley for the first time last December. Met a guy who said it was a “powerful” place. He was right. I’ll be back there again the first week of December – third time in a year! By the way, if you want a great read try “Salt to Summit” by Daniel Arnold. Off trail hike from Badwater to Mt. Whitney. An amazing chapter on Beveridge Canyon. Very well-written.